If you would like to link to Wee Hoose of Supplies, LLC it would be our pleasure to trade links with you. Click on the link below to get started! 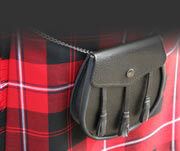 The Gaelic Highland Pipe Band was founded by Malcolm A. Macdonald in 1968. The founding members were Malcolm Macdonald, Chuck Hyatt, Jack Dunn, Fred Saunders and George Gorman. The current Pipe Major is George Martin. Pipe Sergeants are Rich Mount and Gary Snowbeck. The band plays in many parades and at a number of events throughout the year, including St. Patrick's Day Parades in New Haven, Milford and Bridgeport, Memorial Day Parades in North Haven, Orange, Ansonia and Hamden, the New Haven area Columbus Day parade, the Labor Day Parade in Newtown, the annual Irish Feis in North Haven, and at the Goshen Scottish Festival. To promote and perpetuate the art of fifing and drumming. To preserve and perform the traditional music of Colonial America. To support and participate in the Company of Fifers and Drummers. To help educate school children about fifing and drumming. To furnish Lancraft members a friendly, family social environment. To be a good cultural non-profit citizen of North Haven and Connecticut. Need a bagpiper? Need more than one bagpiper? Need a Celtic folk group? All you need to do is contact Piping for All Occasions and we'll get you what you want at the right price! A mini-pipe band! 3 bagpipers, a snare and a bass player! Available for weddings and parties! Taggart Pipes & Drums is a non-profit organization based in Deep River, Connecticut. Under the leadership of Pipe Major, George W. Martin, since being formed in 1990, the band focuses on promoting the Celtic culture through music by participating in local parades, musters and festivals in Connecticut and the surrounding New England area including, from time to time, New York, New Jersey and Pennsylvania. Here's a little clip of Taggart's having some fun after closing ceremonies at the 2008 Goshen CT Games. The bass drummer is me (Ann Marie) and you can catch a glimpse of George about 1:26 into the video! About 1:05 in, the person who put this on YouTube put up a little alert message. Watch for it! Get the most from your web site and fuel your business growth with HEROweb's website services.